Santa Claus walking across winter forest with big bag. 3d animation. hd00:11Santa Claus goes with a bag of gifts. 3d animation. hd00:11Santa Claus with big bag. 3d animation. hd00:11Santa Claus with big bag goes across fantasy North forest. On his bag writen Year 2015. 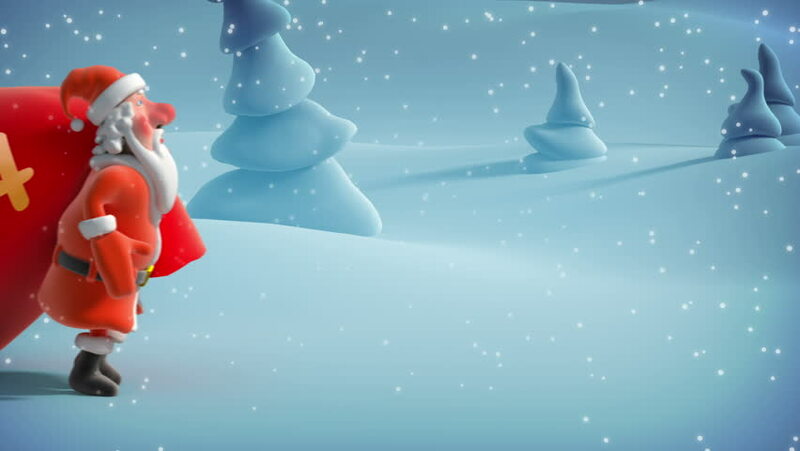 Christmas 3d animation.